Reston, Va. – April 27, 2018 – Meridian Knowledge Solutions, a leading cloud-based learning management system (LMS) provider, announces the availability of Meridian LMSTMversion 18.1. In this release, Meridian applies their long-term focus on learning to innovative ways for users to organize and oversee their own career development paths, increased flexibility and functionality in employee career development for managers, enhanced data privacy and compliance features, and restructured system architecture for easier and more efficient navigation across devices. 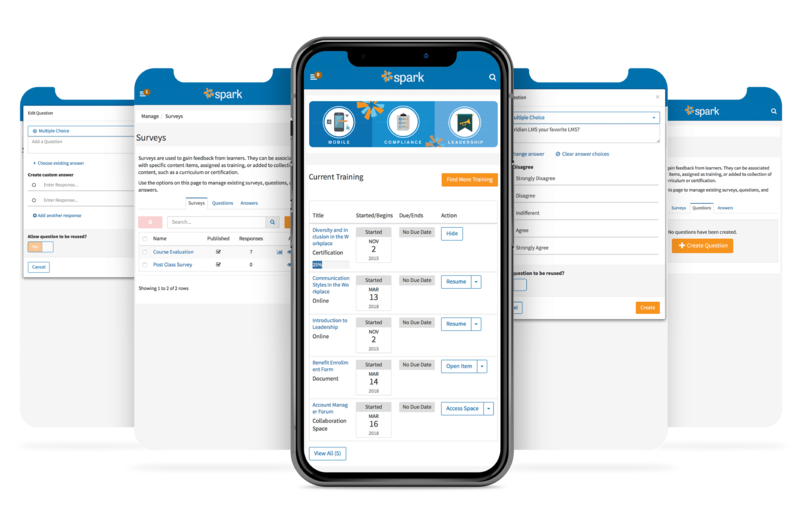 With each release, Meridian reiterates their commitment to learning, providing increasingly complex and in-depth functionality to meet the learning needs of businesses and organizations across the industry spectrum. Given the high cost of a bad hire, quality career development is a huge asset to a business. A new Career Development area allows learners to easily view and manage all aspects of their career development, both for success in their current positions and in search of future advancement. The new Career Management area allows managers and administrators to easily access tools to manage their teams. These improvements help complex organizations develop their employees, moving beyond compliance training and toward well-considered long-term career-focused learning paths. Rating data can now be imported from another system, allowing this valuable information to be instantly accessed and leveraged as part of career development planning in the LMS. While most companies conduct some sort of job reviews, many do nothing with their rating data. Often, it sits unused in dusty talent management systems, completely divorced from plans for employee development and training. Now, this important data can be easily decoupled from talent management systems and added to the LMS, where it will serve a vital role in career management. Too often, career management and development are bundled with bulky talent management and acquisition systems—expanded and efficient career development within Meridian LMS allows customers the freedom to dissociate these very different functions. Significant improvements have been made to the underlying system architecture, including the creation of a new site map. This allows for consistent menus and breadcrumbs across the site, as well as more efficient navigation across devices. Meridian LMS 18.1 is available April 28, 2018. For more information, contact your Meridian representative or go to meridianks.com. Meridian Knowledge Solutions, LLC, is a leading provider of enterprise, web-based learning management software. Meridian LMS is leveraged by organizations dedicated to building world-class learning enterprises. With over 7 million users worldwide, Meridian offers a flexible, best-of-breed learning management system that gives organizations and users alike a seamless, integrated experience, all while strengthening the bottom line. Meridian is headquartered in Reston, VA.